Carlo J. Caparas' Ang Panday (lit. The Blacksmith) is an upcoming 2017 Philippine epic, fantasy action film based on the eponymous comic book character created by Carlo J. Caparas along with his subordinate Steve Gan. 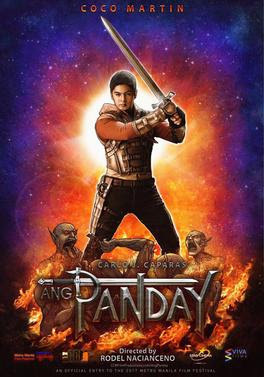 Serving as the seventh installment of the Panday series, the film is directed, produced and starred by Coco Martin in the title role.